I honestly wish I could delve deeper into certain movies, but alas, I get incredibly busy and can only deal with certain movies to a briefer extent than I would like sometimes. This is why I write these occasional "brief thoughts" posts on movies I have seen, as I want to at least offer some of my own perspective on them. 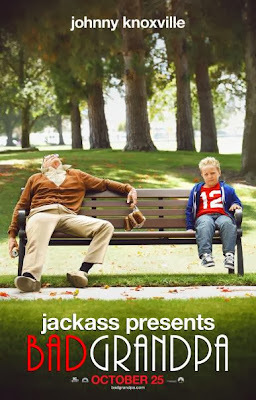 The following post contains reviews Man of Tai Chi, Escape From Tomorrow, Jackass Presents: Bad Grandpa, Hell Baby, and It's A Disaster. Donaka Mark: You owe me a life. Here is a film that I wish received more attention. Not only is it the directorial debut of Keanu Reeves, but it is also just a really solid martial arts film, indebted to 70s kung fu flicks. Tiger Chen stars as a student in the ways of Ling Kong Tai Chi, which he is putting on display, in an effort to win a local Wulin contest. His mild success brings him to the attention of Donaka Mark (Reeves), a mysterious man that introduces Tiger to an underground fighting ring. Tiger is paid well for these fights (with the initial reason for participating being to support his temple), but at the cost of his honor. It eventually leads to conflict between his participation and what Donaka expects from all his fighters. 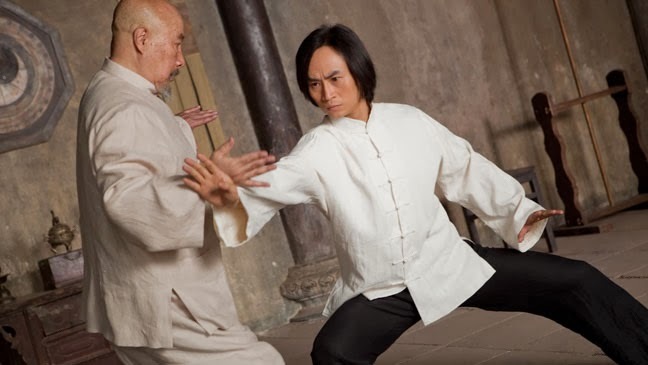 Man of Tai Chi is fast-paced, action movie fun. The story is obviously quite familiar, as it has been done in plenty of kung fu and martial arts movies for the past 50 years. 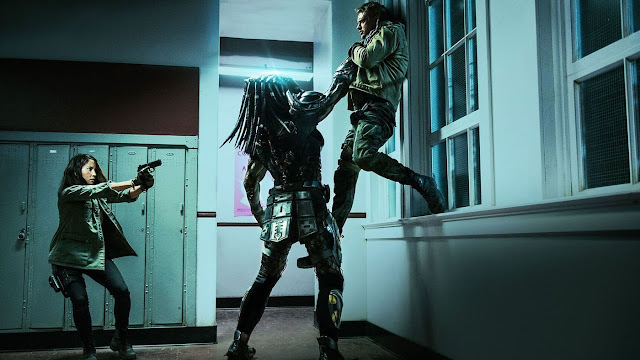 It is all about the approach and Reeves and screenwriter Michael G. Cooney found a way to modernize the basic concepts, because they work well in any time, really, and then add on various subplots as needed. The plotting matters little though, as the film features a lot of really good action. Choreographed by Yuen Woo-ping, the film looks great, during these sequences. There is no confusion about what is on display and that is always something to praise, when the fights look good, as they do. 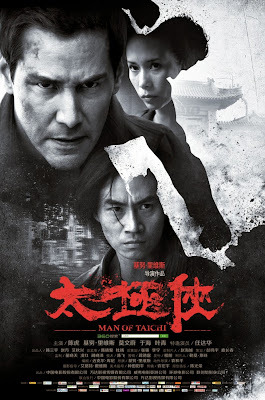 While not deep dramas, having solid characters is generally a nice addition to these sorts of movies and luckily Man of Tai Chi makes this work for the most part. Tiger Chen may not be the greatest lead, but I found he had even more charisma than someone like Tony Jaa, who is certainly talented, but lacks more screen presence, in terms of newer martial arts stars. Keanu Reeves is obviously a veteran at this point and the little that he purposefully gives on screen is appropriate and well done, especially given his age at this point. Karen Mok's work as a Hong Kong detective was also a nice addition. With 47 Ronin coming out at Christmas, I am pretty hopeful that we will have had a fine double dose of Keanu Reeves action movies this year, but even if we don't, Man of Tai Chi is certainly worth checking out, as it is filled with action and a lot of fun to watch as a cool throwback feature. Emily: There's something wrong with this place. The more I think about this film, the less I really have to say about it, which is probably why I never took the time to write a full review. Here is a film that received a lot of notoriety early on, as it managed to be a film that was secretly shot inside of Disneyland and Walt Disney World. Obviously that would lead to the assumption that the film was pretty much built around a gimmick, but after watching it, Escape from Tomorrow is both wise for not actually being that, but also a bit limited, because it does not do it more. Because the film is really weird overall, the results will basically vary on the viewer, but I can't say it's a film I ever really need to see again. The story revolves around a father (Roy Abramsohn) attempting to get through a long day at an amusement park with his family. This man, Jim, has learned that he has just been laid off on the same morning, but attempts to hold a straight face throughout the day. That is definitely going to be tested, as something is already wrong with his situation, as Jim begins to notice a lot of strange activities happening at this magical kingdom, while trying to take care of his children. It does not help that Jim is continually encountering several strange or alluring characters throughout his day. 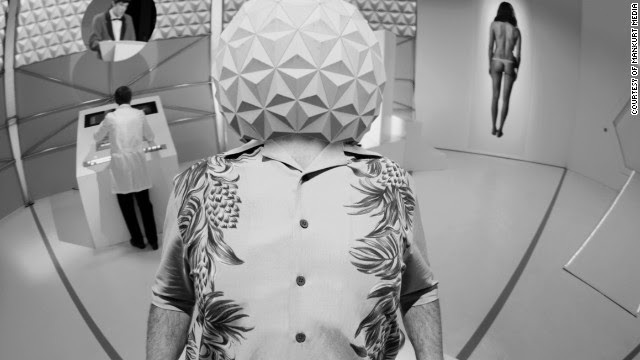 Escape From Tomorrow owes a lot to filmmakers like David Lynch and Roman Polanski. The film has a narrative, but it is constantly at odds with following any sort of traditional rules. It has an arc, sure, but the film revels in being weird when it wants to be. That is the thing though, the film really is not as weird as it could be. There are some striking images and the photography within these amusement parks is inspired at times (very cheap-looking green screen at others), which certainly lends the film an identity, but still does not feel like it has been put to best use. A lot of ideas must have certainly been in place, but it could come down to what was able to be accomplished, given the nature of this filmmaking endeavor. 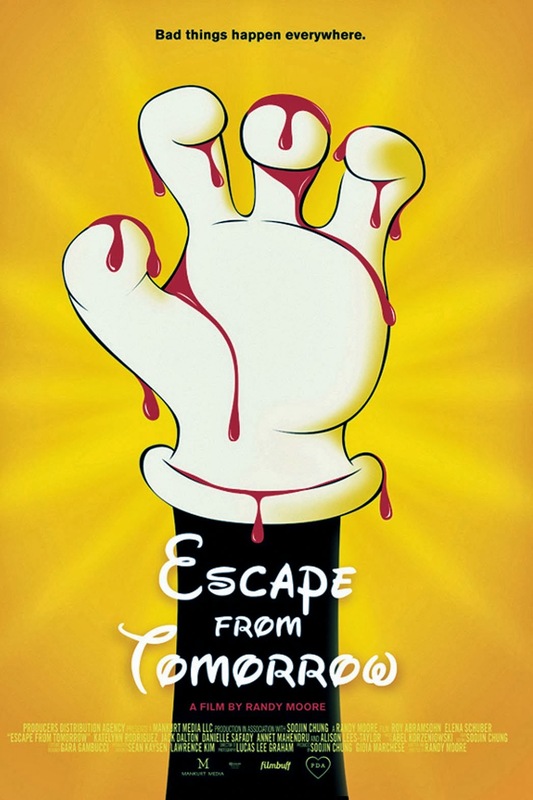 Regardless, Escape from Tomorrow is somewhat entertaining in terms of novelty and Abramsohn finds a way to make a pretty unlikable guy do some very darkly humorous things at times, but the film is more like an experiment with inspired moments, rather than something that will really stand up in the future. Still, writer/director Randy Moore has shown he has a level of talent, so I'll be curious to see what he does next. Man: Don't hurt me! Don't hurt me! 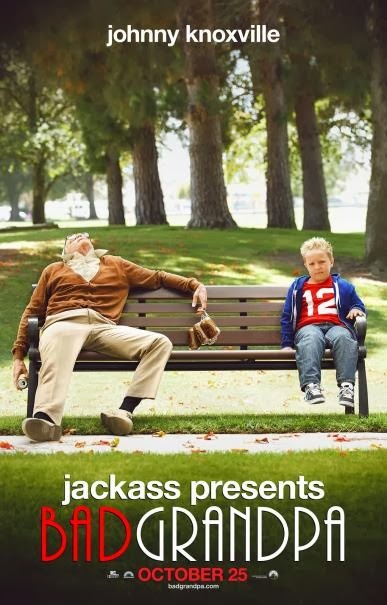 The latest effort from the Jackass crew is an attempt to make a film with some sort of narrative structure, buried beneath a barrage of crass humor that always manages to make me both cringe and laugh heavily. 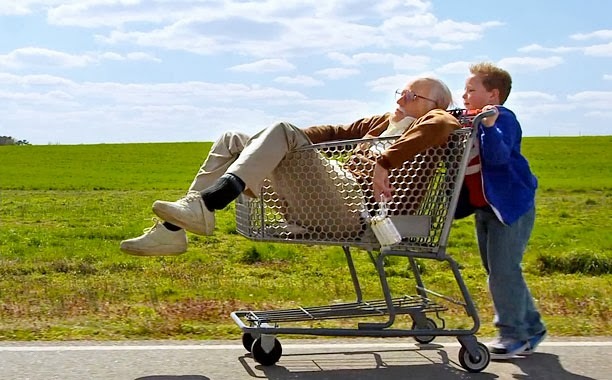 The film may not feel as ingenious as Jackass 3D did for me (seriously, I really enjoyed the creativity that went into a lot of the skits), but Bad Grandpa is an interesting step in a different direction, which manages to actually find a way to insert some heart into all this nonsense. Obviously going over the plot means very little in this kind of film. Johnny Knoxville has become his grandpa character, Irving Zisman, for the length of a whole film this time around. The loose narrative involves him taking his "grandson" Billy (Jackson Nicoll) across the country to be with his father, while the two get into shenanigans along the way. Again, the plot is loose, simply so there is a way to tie all of this together, in case one were to get bored of seeing a directionless, perverted grandpa for 80 minutes, but that matters little, as the film actually has a bit more going for it. Along with having the same kind of humor that Jackass has found lots of success with over the years, the involvement of the godfather of the Jackass series, Spike Jonze, clearly allowed the film to provide a chance for the audience to connect with the very basic emotional arc. Sure, the film is incredibly "rude" with the various skits that occur, but there actually is a screenplay in place to make the film work just a bit more as a narrative than the previous films. I credit Jonze with this, as his involvement with the story must have lead the production this way, but plenty of credit goes to Knoxville. Yes, he has balls of steel to go through some of the stuff that he does, with real people, but he manages to make this grandpa character an enjoyable presence, for all his rotten ways, and you grow to care for the relationship between him and Billy. There is not much else to really praise. If these kind of films work for you, this is more of the same, with a bit of a different approach. 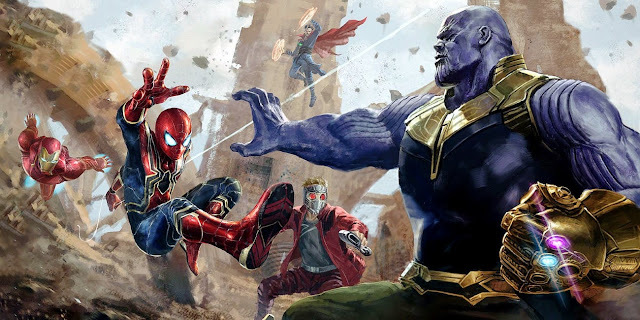 It is a little upsetting that a showstopping scene at the end was used in the trailers, but at the same time, some of the crazier parts of this film are too much to show in trailers, so the film does continue to have some surprises up its sleeves. Disgusting surprises mostly. Ron: I could really go for a Po'boy. I really wish I could have liked this film more. 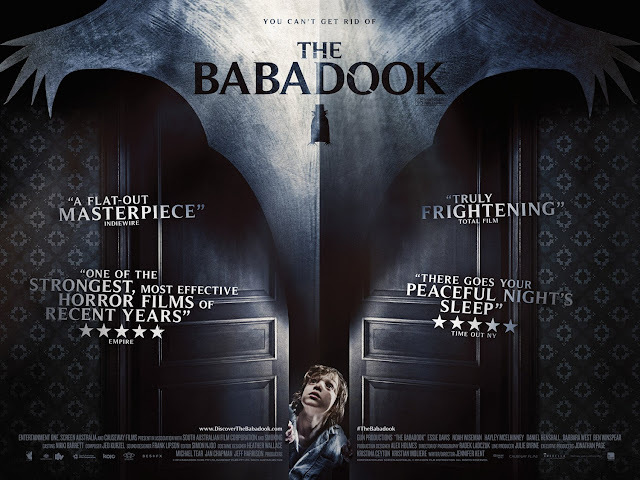 Some of the creators of The State and Reno 911 have gotten together to make a horror comedy about demonic possession in the vain of films like Rosemary's Baby and The Omen, among other films, but certainly a film that becomes its own entry, rather than serves as a parody. It features plenty of comedic actors that I enjoy, but the film just does not nail the laughs as consistently as one would hope. Rob Corddry and Leslie Bibb star as Jack and Vanessa, an expecting couple that move to a fixer-upper house in New Orleans. The problem is this is the biggest haunted house around, known as "House of Blood." Lots of strange things begin to occur, as Vanessa starts to act very strange, with plenty of other strange characters arriving on the scene as well, with the intent of basically ridding the house of this evil in the film's exorcism climax, regardless of how clued in they are to the ridiculous events taking place. It certainly has some high points, with Keegan-Michael Key in particular, really standing out as the best source of this film's humor, but there are lots of missed opportunities as well. It is comedy, so a lot of this is subjective, but it seems pretty clear to me which parts work really well and which ones feel a bit labored or like dead ends for greater comedy. It is unfortunate, as there is good material to mine in this sort of genre, but it did not end up adding up to a whole lot. Shane: Things are going to degrade very quickly. What happens when a couples brunch turns into a safe house against the end of the world? That is the story that is presented in It's a Disaster, my favorite of this bunch of films I have reviewed. 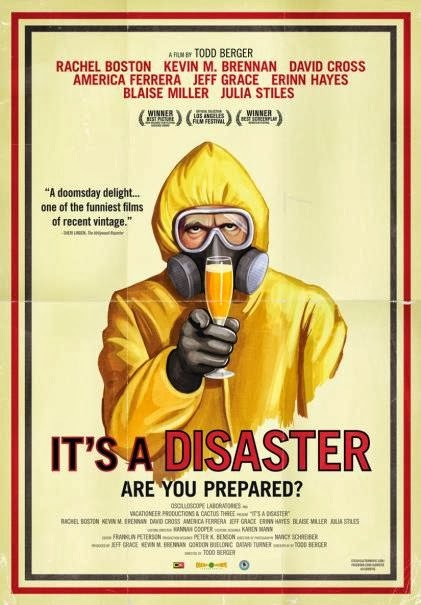 Four couples (Rachel Boston, David Cross, America Ferrera, Jeff Grace, Erinn Hayes, Kevin M. Brennan, Blaise Miller, and Julia Stiles) get trapped inside one house, when news breaks out that deadly attacks have occurred all over the US, leaving hazardous material in the air. In saying all of this, I should note that this film is a dark comedy, which is probably why I responded as positively as I have. Joining the ranks of films that I loved recently, like Seeking a Friend for the End of the World and Melancholia, It's a Disaster is another end of the world comedy-drama that really gets a lot of mileage out of its premise. The cast is great, as they all work well together, even if much of the film revolves around them arguing with one another, there is a biting sense of reality that works into a film about something this outlandish, with a slight play up of the heightened situation, so it stays comedic. 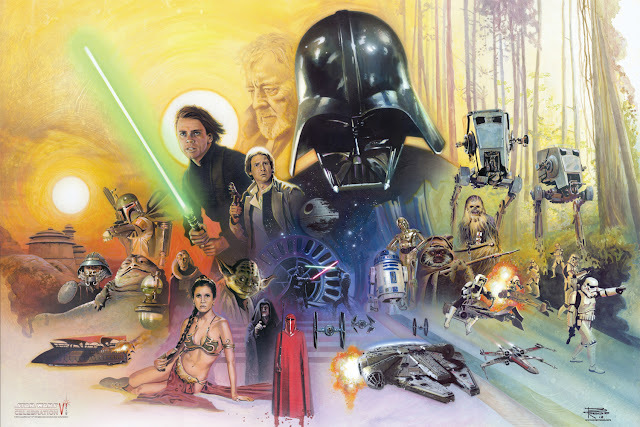 I am excited to see this film again, as I think I will appreciate it even more than I already do now. Yes, the comedic idea of a brunch turning into a survival effort is funny, but the way these different characters handle the scenario is what really makes this film click together well. 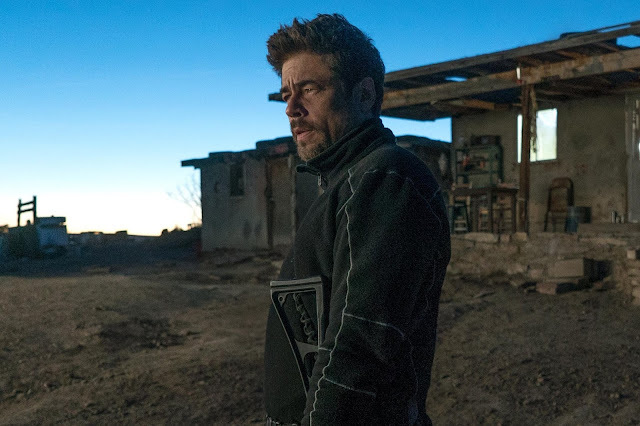 Some of it is funny, some of it is poignant, and that leads to a full feature film that ends up having more to say, rather than just be a simple comedy. For a film that consists of just people in a house talking and yelling at each other, I got a lot out of it that I really enjoyed.